car·a·van (ˈkarəˌvan), n. [Fr. caravone; OFr. karouan; Per. karwan, caravan], 1. a company of travelers, especially of merchants or pilgrims traveling together for safety, as through a desert 2. a number of vehicles traveling together. 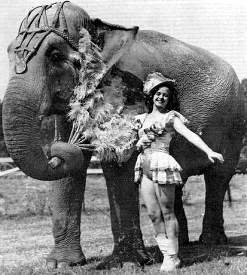 3. a large covered vehicle for passengers, circus animals, gypsies, etc. ; van. We’re rounding out our week of caravaning (see previous two posts). Today, another joins the caravan. 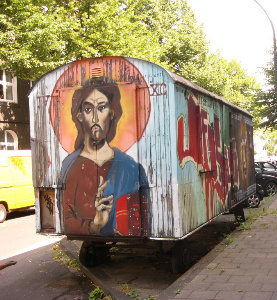 This doesn’t make a ton of sense, but when I think of a caravan, I think of Jesus. An image lingers from the novel Quarantine by Jim Crace. The story begins as a caravan of travelers and merchants winds through the desert. A man in the group is dying. For a few days the caravan stops to allow the man to recover, but when his conditions worsen, the decision is made to leave him behind. The man’s wife is required by custom and consensus to stay with him. She has no choice, and even though the man has been a terrible and abusive mate for her, she has to leave the caravan and wait for him to die. As the story progresses, she meets Jesus who is spending his 40 days and 40 nights alone in the desert. That’s pretty much where my association with Jesus and caravans comes from. Am I right in perceiving a kind of utilitarian underpinning in the philosophy of caravans? At what point do caravans look after the individual, and at what point do the members of a caravan abandon their burdensome colleague so that the majority of the group can continue on the journey? Jim Crace’s novel Quarantine is no religious text, but it tells a good story, and it sets up two modes with regards to coping with life. There’s the Jesus paradigm and the nomad paradigm. There’s the character alone in the desert, and there’s the wagon full of passers-by. Which one am I? Am I one of the men in the caravan, or am I one of the men who watches the caravan go past?